The season for fiddlehead ferns is usually quite short. Make it last by pickling part of your haul with this easy recipe. Since the fiddleheads cook down a fair amount in the pickling process, it's important to blanch them first so you can fill the jar full. Feel free to double the recipe, if you like. Bring a large pot or canning kettle of water to a boil. Also, bring a smaller pot or medium saucepan full of water to a boil. 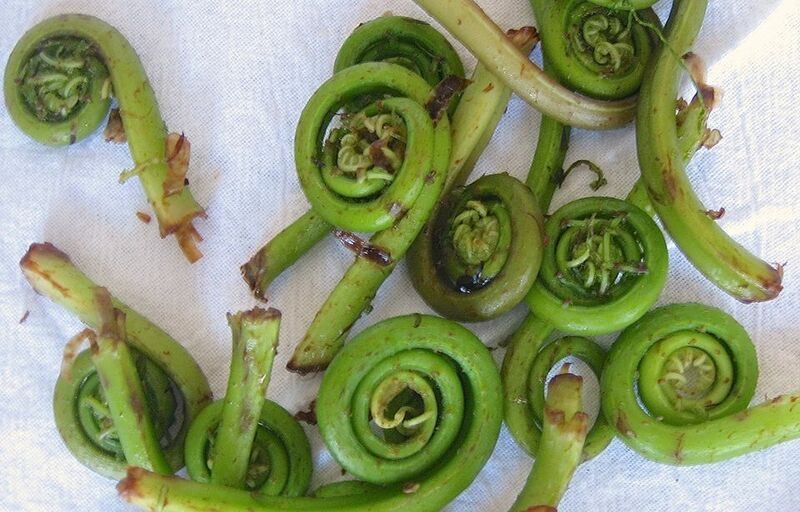 While water is coming to a boil, clean any brown shaft off the fiddleheads and trim off any browned or wrinkled ends. When the smaller pot is boiling, add the salt to the pot. Dump in the cleaned fiddleheads and let boil for 5 minutes. While they boil, prepare a large bowl of ice water. Drain the fiddleheads and dunk them in the ice water. Swish them around to cool them off completely and drain them again. Pack the blanched, cooled, and drained fiddleheads into a pint-size jar. Pour enough cider vinegar over fiddleheads to cover. Pour out the vinegar into a small saucepan. Add the sugar, mustard seeds, allspice, and pepper to vinegar and bring to a boil. Pour the vinegar mixture over the fiddleheads. Seal the jar and process in the larger pot of boiling water for 10 minutes. Let the jar sit until cool. Store in a dark place at least 2 weeks and up to 6 weeks before serving. Refrigerate once opened.